Recently I've been trying to get back into scrapbooking, and cardmaking. 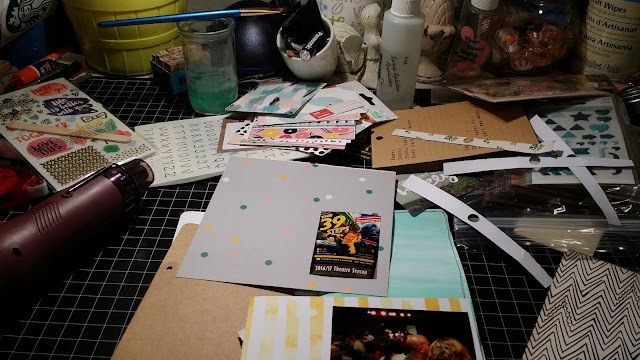 I always have an excuse not getting caught up, something comes up or my work table is covered with paper, junk and more. So I made myself print my pictures in a smaller format, and made a little 5x8 junk journal/smashbook with my bind-it-all. When I have the time I would try working in my book, also I've been putting my instax pictures in the book too. Its the perfect size for it, Im actually happy how its coming along with my little book. (I will do a showing when I'm closer to finishing it). 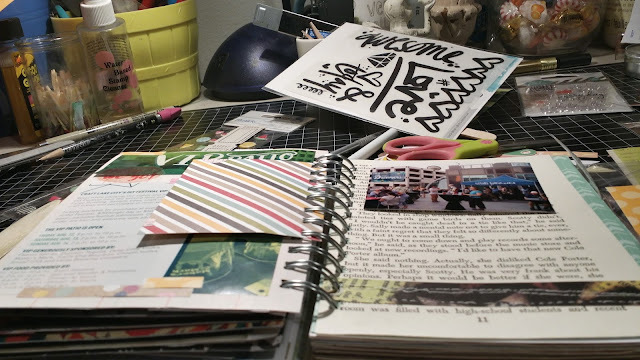 Also, Im watching a lot of youtube on junk journals, traveling notebooks, cards. Like how-to's, and tutorials on them. Lately I been needing a lot of inspirations, ideas just trying to get back into making stuff, crafting. Just need that relief from stress and do what I love doing, papercrafting. While I'm working in my book, I will be working on my thanksgiving cards, I have one done but several to go. I wish there was more thanksgiving stamps or saying out there, There probably is online but I'm actually not a big online shopper I like to shop in stores because I like to see it, hold it and actually take it home that same day. I shouldn't be shopping for more stuff I should use what I have and I intend to. I hope to get to finish my little book, want to finish as much as I can. I would like to make another junk journal for christmas and do a similar "Daily December,"
Since the holidays are coming quickly, I'll try to keep up on my posts and show more of my pages, or whatever I'm working on at the moment. So until next time I hope you all have a great week and keep crafting. The lighting isn't so good, I've been working late in to the night on my pages. 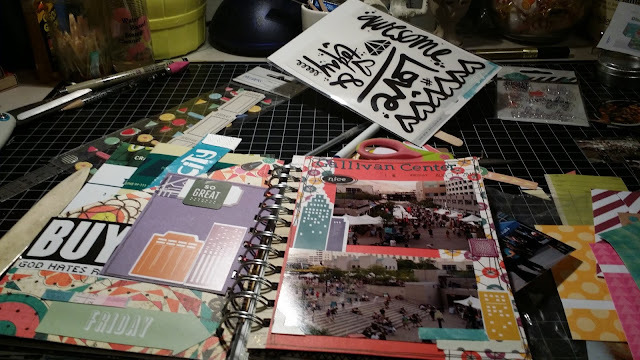 Even though, its 5x8 book there is so many choices and lots of ideas to make a single page. I cannot wait till its done.